SIG (Special Interest Group) of Bluetooth announced all the new features that are being released in the latest version of Bluetooth, version 4.1. As you would expect, the release to Bluetooth 4.1 isn’t groundbreaking, but makes several solid improvements over the older 4.0 version. 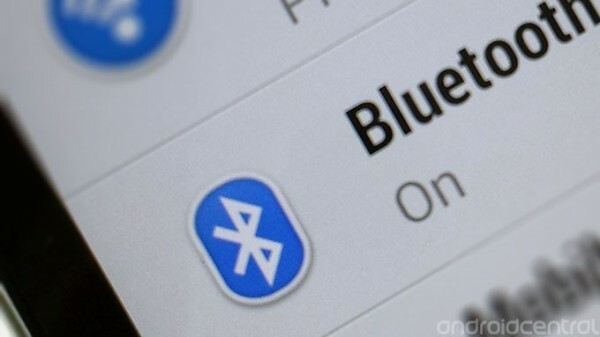 The latest version of Bluetooth only focuses on improvement. The Bluetooth Special Interest Group has worked so hard to make sure that the Bluetooth and LTE radios can cooperate without any interference from transmission in the latest version. The improvement in specifications also helps developers and manufacturers have more control over Bluetooth connections in terms of reconnection times and disconnect thresholds. Below is the official report from the Special Interest Group. Kirkland, Washington – December 04, 2013 – The Bluetooth Special Interest Group (SIG) today announced the adoption of updates to the Bluetooth Core Specification. Bluetooth 4.1 is an important evolutionary update to the wireless specification, which experienced a revolutionary update in July 2010 with Bluetooth Smart, the intelligent, low-energy technology enabling the Internet of Things (IoT). The updates will improve consumer usability with increased co-existence support for LTE, bulk data exchange rates, and aid developer innovation by allowing devices to support multiple roles simultaneously. The new release also lays the groundwork for IP-based connections, extending Bluetooth technology’s role as the essential wireless link for the IoT. · Coexistence — engineered to work seamlessly and cooperatively with the latest generation cellular technologies like LTE. Bluetooth and LTE radios can communicate in order to ensure transmissions are coordinated and therefore reduce the possibility of near-band interference. The coordination between the two technologies happens automatically, while the consumer experiences the high quality they expect. · Better Connections — provides manufacturers with more control over creating and maintaining Bluetooth connections by making the reconnection time interval flexible and variable. This improves the consumer experience by allowing devices to reconnect automatically when they are in proximity of one another. The consumer can leave the room and upon returning, two recently used devices reconnect without user intervention. · Improved Data Transfer — Bluetooth Smart technology provides bulk data transfer. For example, through this new capability, sensors, which gathered data during a run, bike ride or swim, transfer that data more efficiently when the consumer returns home. A person who loves Apple, Android, and obviously Gaming. Currently, I am having a PS Vita, a PSP, and a PS3. I also enjoy writing on my HP Pavilion.